The uke has been delivered. Here are the final images. 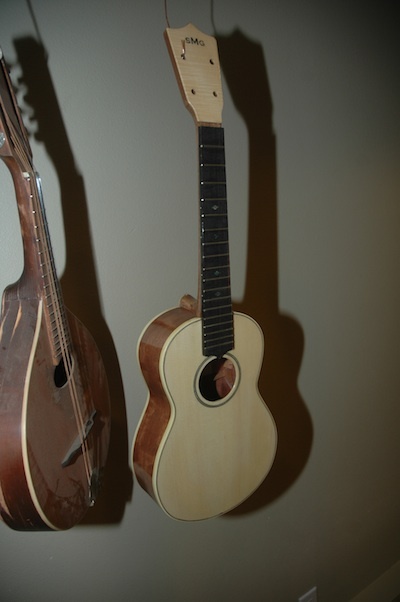 The past year has gone by rapidly and I have engaged in many endeavors which little resembled guitar building. I started and completed a program which garnered me a secondary teaching certificate. I have accepted a job as a High School math teacher, and my first day with the students is September 7th. All my concentration on becoming a math teacher has eaten into my time building guitars. My 2011 output has been well below my previous years, yet I still continued to gain commissions for guitars and ukes and have created quite a backlog. I realize that I need to analyze and prioritize my pending work and set out a semblance of a plan to organize. 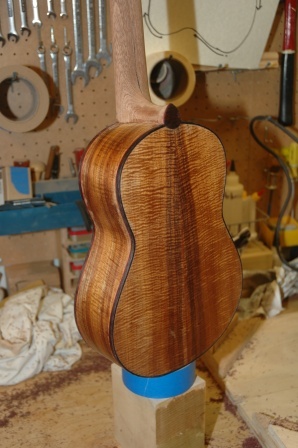 Uke 1001 – Bubinga Tenor: This, my first uke, has been sitting with 12 coats of lacquer, waiting to accept more lacquer. 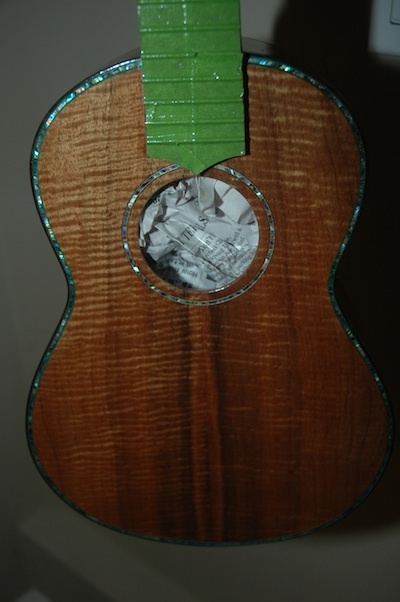 My original intention was to piggy back on the lacquer work for Uke 1101. 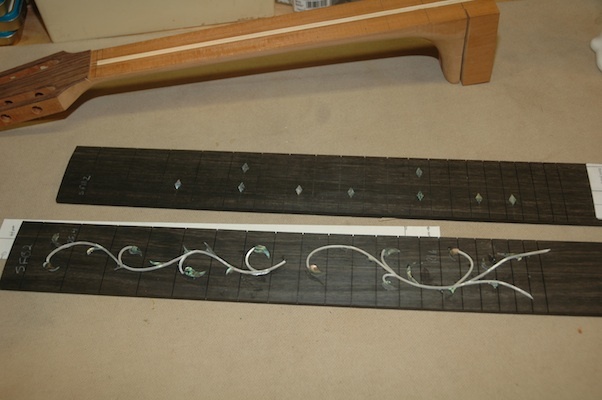 Once the lacquer has been applied and cured, I will be able to quickly finish with the following: Install bridge, saddle, nut, end pin and tuning machines. 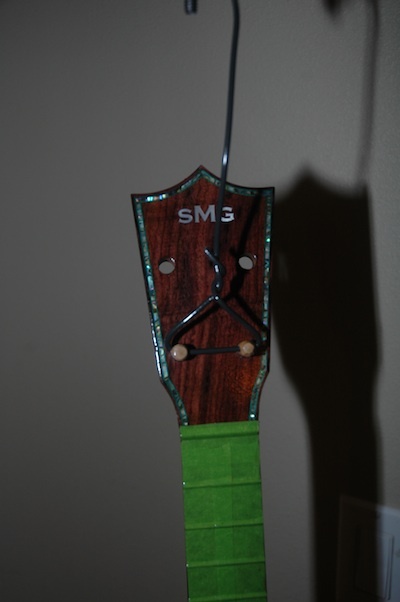 Level frets and do setup. 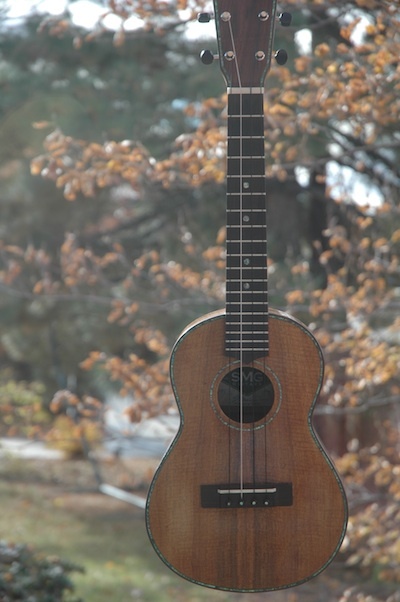 Uke 1101 – Koa Tenor: I have taken this uke on a grand tour, displaying it at a cousin reunion and guitar camp. 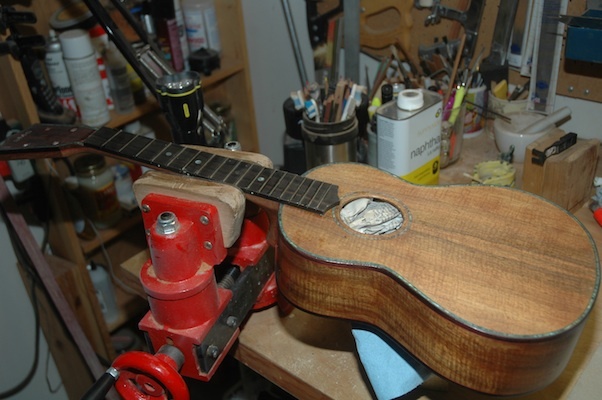 It needs minor filing of the binding, a bit more neck shaping, then aggressive final sanding before the sanding sealer, pore filling, and application of lacquer (together with Uke 1001). 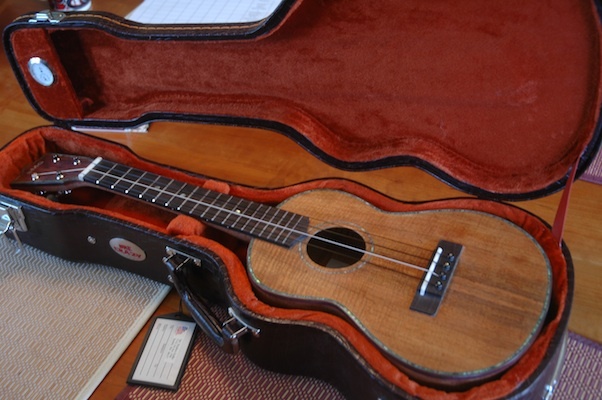 This uke, for Cynthia, is priority number 1, and I intend to start back on Tuesday of this week. 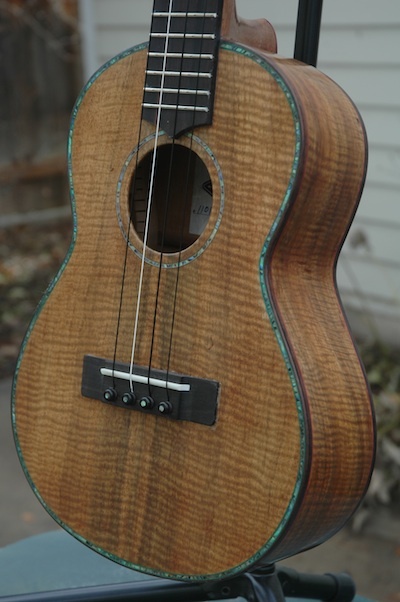 New: Uke 1201 – Koa Tenor 2: I have all components on hand to build another Koa Tenor Uke. 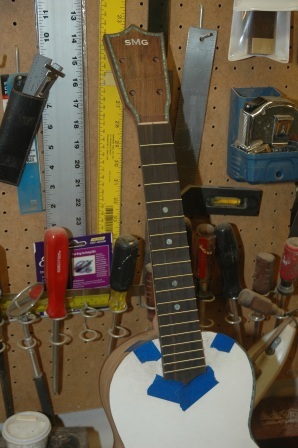 A man has to build himself a uke. This lands as priority number 5. 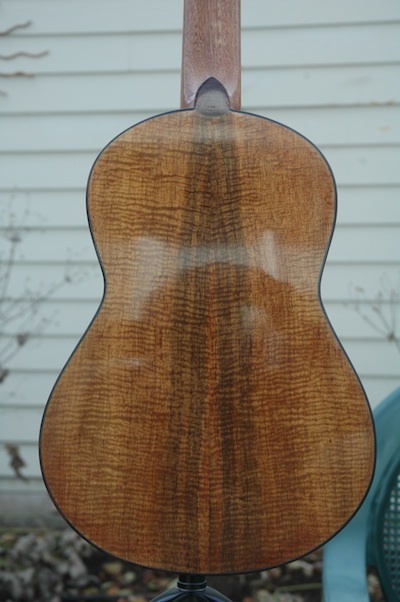 Guitar 903 – Walnut OM: Devin’s guitar (my apprentice). Devin took the summer off and only recently has returned to finish his guitar. 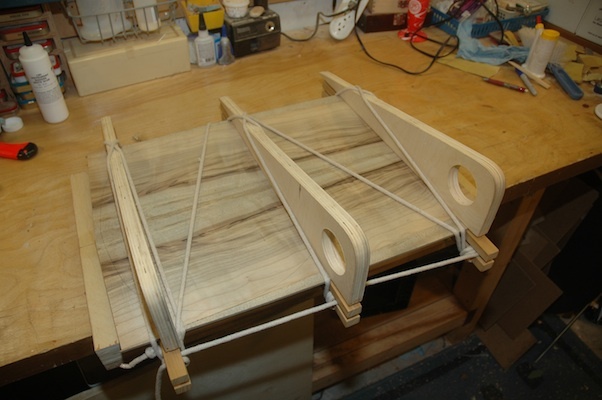 The bridge is mounted, and the remaining work includes saddle shaping, bridge shaping/notching/installing, fret leveling/polishing/truss rod tweaking culminating in stringing and setup. He is days away from walking home with his finished guitar. 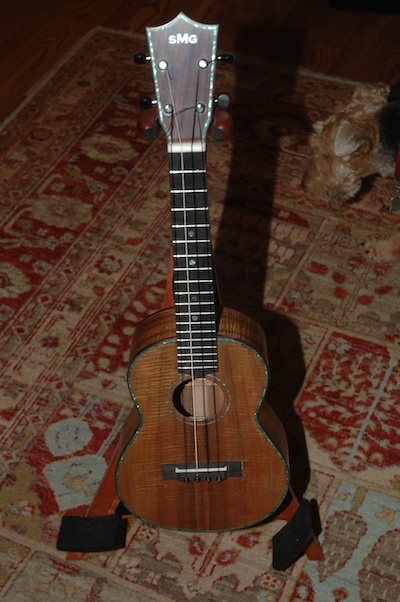 Guitar 1002 – Hybrid Cutaway: I have been ignoring the ukes by dabbling away with this Macaferri style nylon string cutaway for Jim. 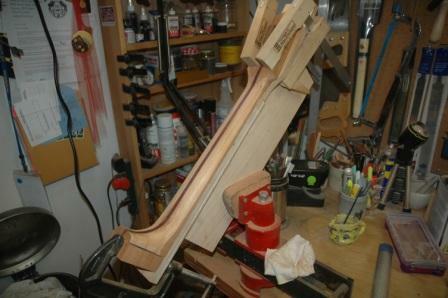 I have been shaping the neck and heel and dreaming of bending the cutaway side for the past months. 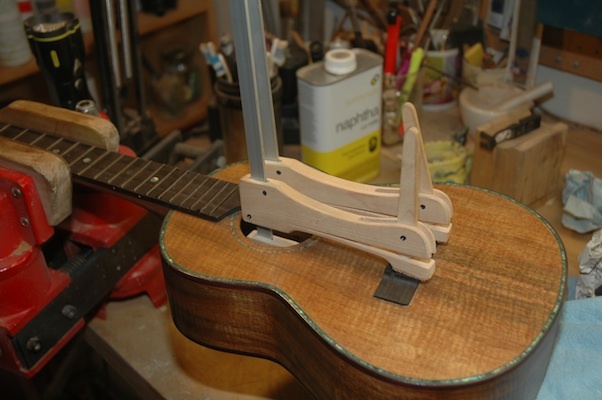 Before I proceed I need to resolve the dimensions of the neck, and how the cutaway will join and transition into the neck heel. The top and back are braced but still need further shaping/sanding before I’m ready to join the neck to the top for insertion into the new workboard. This work is priority number 2. 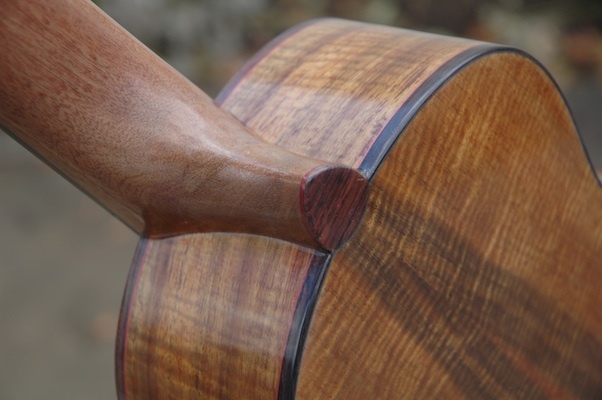 New: Guitar 1201 – Myrtle Parlor: I have a gorgeous piece of California Myrtle which will be the showcase for a new parlor for Rachel. 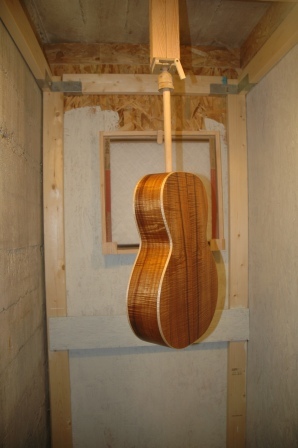 I already have an Engleman Spruce top which has been joined with rosette installed. I have all components on hand and still need to decide appointments. Priority number 3. 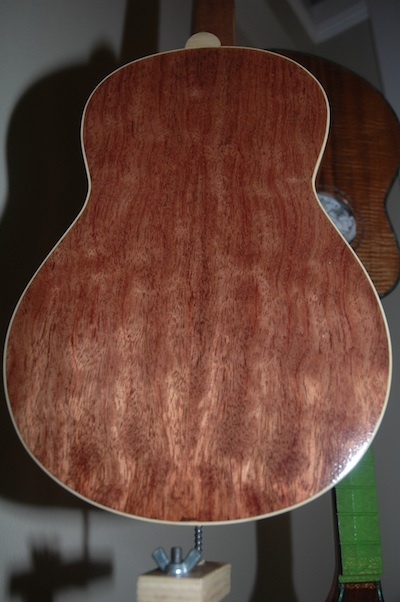 New: Guitar 1202 – Indian Rosewood OM: This guitar has been commissioned by Susan as a gift for Bob. Gonna get that name Bob into the fretboard inlay design somehow. I always wanted to inlay the word Bob. 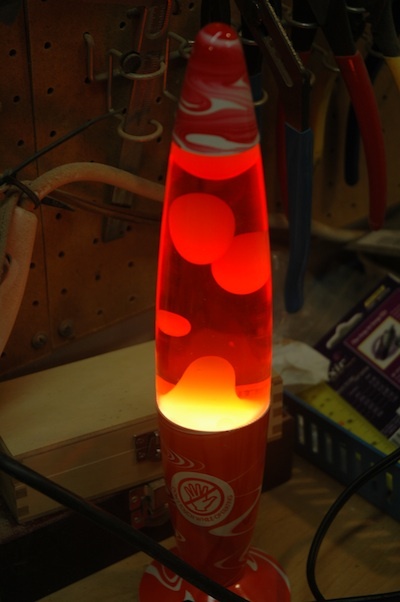 This, along with guitar 1203 are priority number 4. 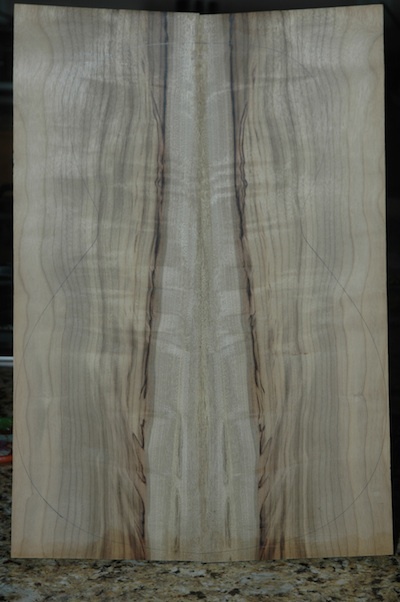 New: Guitar 1203 – Devil Parlor: I call this the Devil Parlor as it will have a double cutaway. 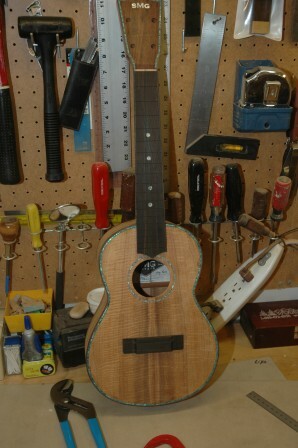 This is a commission for Emily and shares priority number 4 with Guitar 1202. 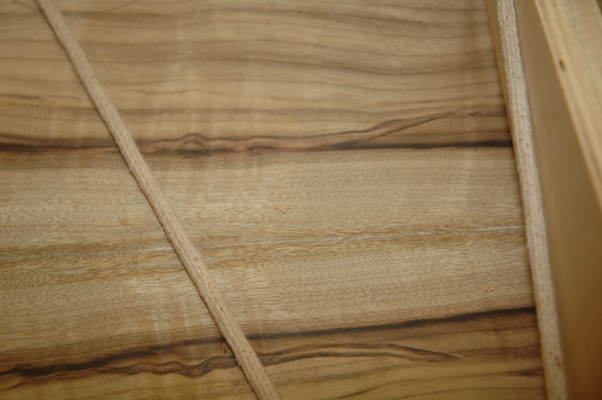 I’m using Peruvian Walnut and Engelman Spruce. 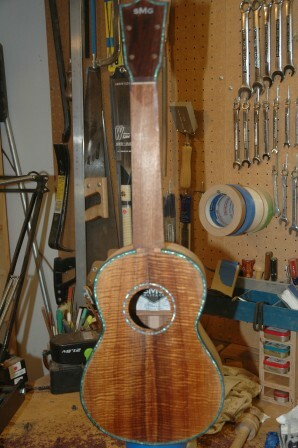 I’m considering a black lacquer back and sides and am going to attempt a sunburst top. Ivroid binding. Somebody tell me how I’m going to do that please. I have numbered the new instruments with a 12 prefix, anticipating that these will be completed in 2012. Still on hand, and available for future guitars: Sitka Spruce, Bearclaw Sitka Spruce, Ziricote, Ovangkol, Master Grade Claro Walnut (2 sets). 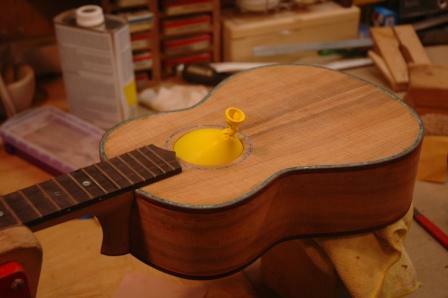 There’s a little known trick of the luthier (OK, everybody knows it). It’s called the Naptha Preview. 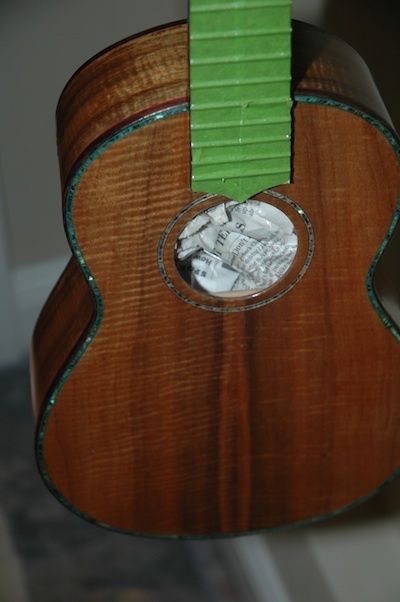 Before final sanding and finishing with lacquer, you clean off the instrument with a naptha bathed cloth. It brings out the color of the wood that will appear with lacquer application and points out any spots where there’s still glue that needs sanding (the glue spots won’t absorb the lacquer). So before I set the uke aside to finish Guitar 1001, here’s the Naptha Preview.